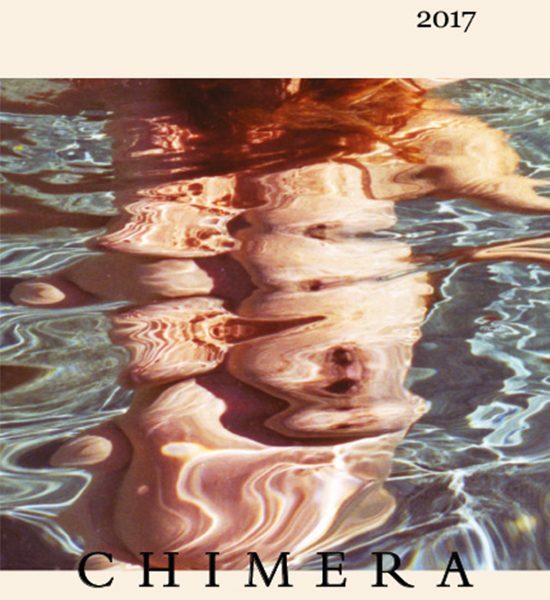 Verge is an annual collection that highlights the best creative writing from Monash University students, and the 2017 edition of Verge, entitled ‘Chimera‘, was co-edited by Monash Arts PhD candidates Aisling Smith, Bonnie Reid and Gavin Yates. This thirteenth edition of Monash's creative writing annual collects work inspired by the ‘Chimera' theme: reflecting something desired but always out of reach, and includes a range of original works from established and emerging writers. In this interview Aisling, Bonnie and Gavin took time out from their PhDs to share their experiences as Verge co-editors, PhD candidates and aspiring writers. How did the three of you come together as editors for this year’s edition of Verge? Aisling: We were each offered the opportunity to work on Verge by Dr Ali Alizadeh. Being creative writers ourselves, we were all very keen. Bonnie had been an editor the previous year, but Gavin and I were new to the role. Gavin: At the Verge: Futures launch I had enquired with coordinator Ali Alizadeh about editing. We had a brief chat about my credentials and in a matter of months I was in a meeting with Bonnie Reid and Aisling Smith. The theme is Chimera: it is ambiguous and ominous – we loved it. It was a great pleasure working with Bonnie and Aisling. We spent much time in the Verge/Colloquy office reading and selecting pieces for publication, constant emailing, and organising the manuscript – which was no easy task and quite extensive – and it was never dull. Bonnie: Dr Ali Alizadeh was really the one responsible for bringing us together as editors of Verge. He introduced me to Aisling and Gavin at the start of the year and we hit it off really well and continued to brainstorm ideas for the journal and bring it all together from there. With the theme, we liked the range of meaning that could be derived from the word “Chimera” and hoped contributors would interpret it differently and play with it in a way that interested them most. Everyone who contributed to the journal gave us work that we were excited by so it’s hard to single out just one or two but if I had to pick some personal favourites I have to say I really loved both of Joan Fleming’s poems. We awarded Joan the Verge prize for poetry for her poem Allowances for good reason! I also really admired Callum Methven’s poem Don’t Touch the Billabong and Aimee Anderson-O’Connor’s experimental fiction, Femina. How will the opportunity to edit a volume of Verge help you in your careers? Aisling: The experience you gain editing a journal is invaluable. It teaches an array of skills which are useful for the academic publishing industry: assessing submissions, liaising with peer reviewers and authors, proofreading and copy-editing. It also strengthens more general skills like one’s capacity for teamwork, organisation, and also the ability to meet deadlines! On a personal level, as a writer, it’s humbling reading other people’s work. It was wonderful that so many people submitted this year. Gavin: Verge has provided me with professional experience in editing. I have had the opportunity to make new contacts in academia across Australia and get a chance to see things from an editor’s perspective – which has assisted with my writing in general and professionalism. Bonnie: Editing Verge was a great way to experience exactly what I imagine is involved in putting together a literary journal. Not only did we get to exercise our skills as editors of the works themselves but we were in charge of organising the budget, liaising with the publisher (Monash University Press), finding academic peer reviewers for the journal and putting together the launch with the Melbourne Writers Festival – all great experience for working as part of a team in a literary journal in future or a related editing job. What does Verge mean for aspiring writers? Aisling: Verge authors are usually very diverse, and I think this is one of the real strengths of the journal; it provides emerging writers with a unique platform to be published alongside established writers. It is oftentimes the first print publication for many authors, which is special—there’s something very different about seeing your name on a printed page and being able to hold a physical copy of something you’ve written in your hands! We also provide writers with the opportunity to have their writing go through the peer review process, which is a valuable experience and can greatly strengthen a piece. Gavin: The very first poem I had published Henri Rousseu Never Visited the Tropics featured in Verge: Errance, edited by Joan Fleming and Ann Jaquiery. It was very encouraging not only for my writing but for pursuing a PhD. Having your work appear in print is a way of bringing your writing into reality: for me, getting published in Verge meant a lot. For others, I hope it brings the same optimism it brought me. Bonnie: It’s hard for me to say what Verge might mean for aspiring and emerging writers. I can only really speak to our own hopes as editors of the journal. Certainly it was important for us to try to have a wide range of voices in the journal as far as age, background, identity, and level of practice go. So I would hope, even in a small way, Verge might show the legitimacy of various kinds of writing without the usual hierarchies you find in a lot of literary journals. And by showcasing a variety of forms in one edition: poetry, short story, personal essay and other hybrid forms, hopefully our readers who are also writers, or writers-to-be are inspired to experiment with form in new and exciting ways. How did you end up in the PhD program? Aisling: After finishing my Honours in literary studies at Monash, I wasn’t quite sure what to do with myself. I took a year off and then enrolled in a JD at the University of Melbourne. But I didn’t enjoy studying law at all – I’d lurk up the back of my Constitutional classes and simply read literary criticism about my favourite authors! That was a pretty clear indication to me of where my heart was. I quit my JD halfway through and enrolled in a PhD at Monash instead. I haven’t looked back. Gavin: After completing my Bachelor of Arts with first-class Honours at Monash University, Monash’s PhD program seemed a viable option. I had spent some time in unrelated occupations and decided on retuning to Monash based on previous experience with reliable supervision and high-quality facilities. Bonnie: I’ve wanted to do a PhD for a long time. My background is in literary and film studies so I always imagined if I did a PhD it would be in one of these fields. I had never formally studied creative writing but have always written on the side. At some point a few years ago after a hiatus from university life I started to focus more and more on reading and writing poetry. So when I felt ready to apply for the PhD at Monash it made perfect sense to combine my interest in literary studies with my creative practice. That’s how I ended up in the creative writing program. What is your PhD about and who are your supervisors? Aisling: Although I primarily consider myself to be an emerging fiction writer, my PhD is actually in literary studies, rather than creative writing. My dissertation focuses on the fiction of David Foster Wallace, using affect theory to examine his works. The current body of scholarship on Wallace is a growing field, and still has some gaps in it. Affect is one area that hasn’t had much attention, so I’m hoping my thesis will go some way to addressing this. Dr Melinda Harvey is my main supervisor. Gavin: My main supervisor is Dr John Hawke and my associate supervisor is Dr Chris Watkin. My PhD is in Creative Writing. It’s comprised of two components: firstly, my thesis, on the topic of Surrealism and Australian poetry, is charting the presence of Surrealist poetics in Australian writing from the 1940s to the contemporary. I hadn’t really heard of ‘Australian Surrealism’ in relation to poetry and I wanted to explore this to see what I could find. The second component is my own creative response to the theories and poetic techniques discussed in the exegetical dissertation. I hope to have my first collection published towards the end of my PhD (2019) that will extend on a Surrealist aesthetic using original modes of production but within a contemporary localised setting. Furthermore, I hope my critical dissertation will go some way into shedding more light on the complexity of Australia’s historical encounter with Surrealism. Bonnie: My supervisor is Dr Ali Alizadeh. Ali has been an extremely supportive supervisor and wonderful to work with. As my PhD is in Creative Writing it’s half a thesis and half a creative project – both of which will be stand-alone but related works. The thesis is looking at trans and genderqueer poetry and poetics, with an interest in how trans poetry traverses, contains and explodes received notions of embodiment and subjectivity. The creative component is a book length semi-non-fiction collection of fragment prose poems concerned with the relational processes of gender formation between myself as a genderqueer trans person and the people I encounter in daily life. Well, certainly I hope it will contribute some new knowledge to trans studies where it intersects with the study of poetry, poetics, and theories of embodiment and on a more basic level I hope it will help me to distil the working processes of my own creative practice so that I produce a collection of poetry I can be proud of. What has your study experience been like so far and how have your fellow PhD candidates help you become a better writer? Aisling: It’s been fantastic. I’m continuing to really enjoy the research process and have some amazing opportunities throughout my candidature. I’ve been co-editor for both Verge and Colloquy journals. Earlier this year, using my graduate research funding, I had the chance to present at my first academic conference in the States and also to undertake some archival research there. It’s true that the PhD itself can sometimes feel overwhelming, but it definitely helps that your topic is ultimately something you’re passionate about. Even if there are times when it’s a challenge to keep working on the same document, I find that I can usually recall why I’m doing what I’m doing, and why the subject matter of my thesis is important to me. In my experiences, the PhD cohort is very supportive of one another, and there are opportunities use the collegiality of the program to ease the writing process. The ‘Shut Up and Write' sessions run by the library have been good for this – forcing yourself to sit down in a room with your peers and just get on with your writing is a useful strategy for PhD progress. Gavin: My study experience has been very consuming and not without its challenges. I have been lucky enough to receive much supervisory support – and I’m grateful to the excellent staff at the Sir Louis Matheson library and Rare Books Collection for their services. All of which are invaluable resources helping me to persevere. Bonnie: My experience has been really good. It’s obviously a huge change from a coursework-based mode of study like you find in undergrad so there are new challenges in maintaining a structured study schedule. But researching the work of other trans poets and exploring the practicalities and limitations of identity based creative practice is a hugely interesting task to me and something very close to me on a personal level. Working alongside Aisling and Gavin while we edited Verge was a wonderful opportunity to get to know some of my fellow postgrads. It was great to have them both look over my work and to be exposed to their unique writing styles – both of them are very skilled writers in very different ways. I appreciated the insight into how they crafted their work and what they looked for when reading other’s fiction and non-fiction. I think its always refreshing to see how others approach a task like editing – it helps to open your eyes to what you like and to be more critical of why you have a certain response to a work or a desire to produce something in your own writing in a specific way. What have you read as part of your course that made you think differently about fiction? Aisling: I’ve had to go through Wallace’s entire oeuvre for the dissertation, but even now I’m continually amazed at his writing. His use of language, structure, humour and character always makes me reconsider my beliefs and assumptions about how fiction ought to work. Gavin: In regards to my field, the distinction between fiction and nonfiction is unclear. A good example is Australia’s spurious poet ‘Ern Malley’ concocted by James McAuley and Harold Stewart, for the purpose of debunking, what they perceived, the degenerative character of Surrealism (and modernism in general) largely espoused in the 1940s ‘avant-gardist’ journal Angry Penguins. It is interesting to consider the historical consequences of this event: in the 1940s, the ignominy caused by the ‘Ern Malley’ hoax basically shutdown the Angry Penguins’ adventure into modernism and was so effective, it successfully impeded modernist developments in Australian poetry for twenty or so years. However, in postmodern Australia, ‘Ern Malley’s’ spectre haunts our poetry and criticism and has garnered much scholarly attention. Ironically, Malley’s poetry is anthologised more than ‘his’ creators and is considered, by at least one commentator, to be Australia’s Shakespeare. Harold Stewart would later remark ‘perhaps neither McAuley nor I ever existed except in the imagination of Ern Malley’ (Heyward, The Ern Malley Affair, xxiv). Bonnie: It may seem a little off topic to my project now, but I like to read all kinds of contemporary poetry to inform my creative practice, not just what maybe be called ‘trans poetry’ – which is itself a tricky category – so near the start of my candidature I read two of Claudia Rankine’s poetry collections, Citizen: An American Lyric and Don’t Let Me Be Lonely: An American Lyric. These are two of my favourite books to date. Rankine is a master of a hybrid essay, prose poetry, and visual art form that blends fiction and non-fiction in a very powerful way. For me she really expanded the horizon of what can be thought of as poetry. Aisling: There were a lot of early poems and short stories that I wrote as a teenager and then discarded a few years later, convinced that they were rubbish. This remains a massive regret for me. These days I really feel that there is usually an opportunity to extend, edit or rebuild exiting work. I wish I’d had more faith my capacity at the time and, rather than getting rid of these creative pieces, had kept them to return to in later years. Gavin: I would have read a lot more! I didn’t develop an interest in books until my later teenage years and that was mainly canonical novels and philosophical texts. As a child, I was probably kicking a ball around instead. I was always interested in poetry – it always did something for me but I didn’t really discover poetry until my early 20s as a Monash University undergrad. Bonnie: In general I think it’s helpful to learn from your past but not so much to spend time imagining or wishing it happened differently – which is not to say my thoughts don’t go there – but I think that line of questioning skirts the cultural obsession with youth as the only valuable time in a person’s life especially when it comes to art making. I’d rather wonder about what my creative practice will look like if I make it to my 80s.